When Tile approached us, they had one big challenge: after creating the most successful Kickstarter of all time, competitors were entering the field. Long story short, Tile needed a brand, and an emotional way of connecting people to little plastic gadgets. Together, we created Tile's brand mission: to help create a world where everyone can find everything that matters. 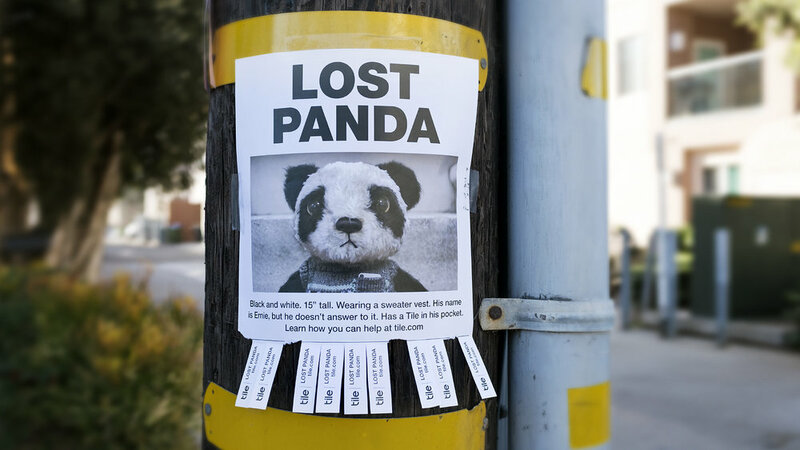 And out of that strategy came the story of Ernie, a little, lost and lonely panda trying to find his way home. After Ernie found his way home, he also found us two Bronze Lions at Cannes and three Wood Pencils at D&AD. 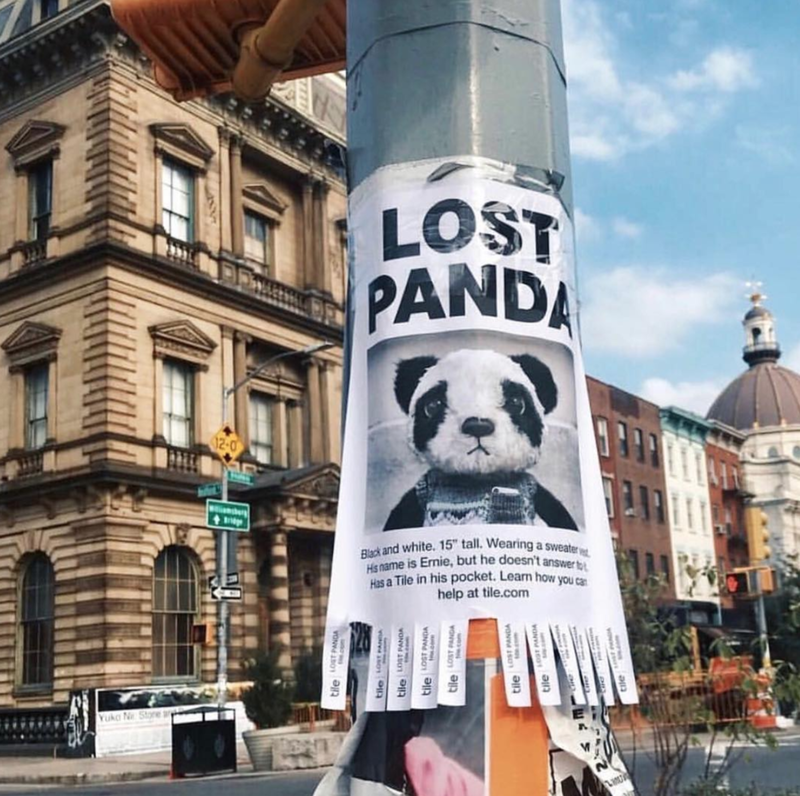 To tease the campaign, we had street teams across the country put up posters with pull tabs driving people to the Tile's homepage, where they could watch the panda's full story. We loved seeing how many people shared these on Instagram. Working in tandem with Deutsch's strategy department and our clients themselves (naturally), I had the pleasure of writing Tile's first brand tagline, together we find. This line pays off the brand mission of creating a world where everyone can find everything that matters, and nods to Tile's Waze-like community find feature. The entire campaign in a nutshell, narrated by a wonderful voice over.